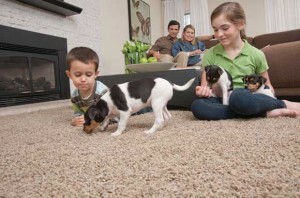 What goes into a quality laminate floor? Well, a good number of things, but let’s look at what you shouldn’t expect to find in any laminate floor you put into your home. Laminate floors that use a low grade HDF core, poorly formed locking joints, misprints in the laminate, surface coats that get a ghostly pale white face, locking mechanics that don’t work well, easy to chip edges, very few patterns to select, low resistance to denting, low resistance to abrasion, and just general poor quality control. Does Quick-Step laminate flooring eliminate all of the above? Well, nearly all of it. 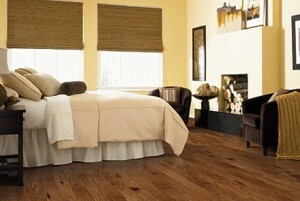 No company is perfect but there is a level of quality that cannot be denied with Quick-Step. 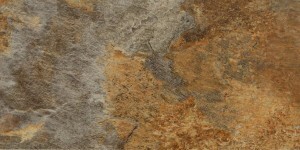 The grade level of the HDF used by Quick-Step is way above normal grade. This is important because the joint surfaces for each board will stand up to more punishment and will not be damaged by any repeated click locking. The locking system is also lubricated with paraffin wax that makes the locking surfaces far less likely to fail due to excess wear and abrasion. Also, the waxing makes the installation a litter easier and adds some natural moisture resistance. 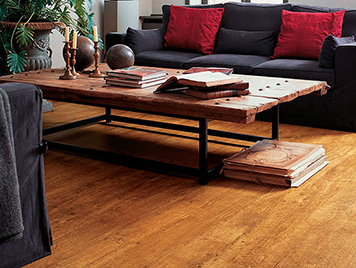 Quick-Step Laminate floors offer stylish looks that are built to stay that way. 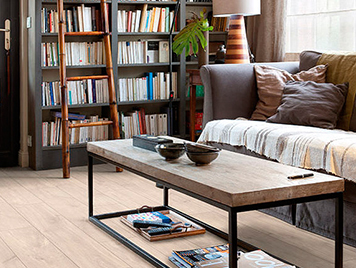 Quick-Step has great styles and surface choices to select from. Whichever you choose it is worth noting that Quick-Step laminate is a flooring choice that exceeds the quality standards for almost any other laminate except for some commercial quality flooring made specifically for high traffic areas that are much more than what you find for the home. Another great advantage with Quick-Step is that it does not require glue for installation. 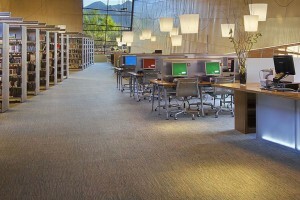 American Carpet Wholesalers of Georgia carries a great selection of Quick-Step at its online flooring catalog. When you have selected your flooring online, be sure to call and speak to an ACWG flooring expert. By calling and speaking with an ACWG pro you can make sure to get the flooring you need at the best price possible. Give us a call today at 800-548-2706. It was July – So what happened?